Elaine is a spokesperson, speaker, and TV show host, and she holds the title of Mrs. DC America 2015. During her reign, she promoted empowerment for women through entrepreneurship, a topic that she still speaks about today. Elaine is the host and co-producer of episodes of the Comcast Cable TV show I’m Every Woman, which features business owners and nonprofit founders. A strong advocate in the fight against human trafficking, Elaine is the official spokesperson for the Northern Virginia Human Trafficking Initiative. 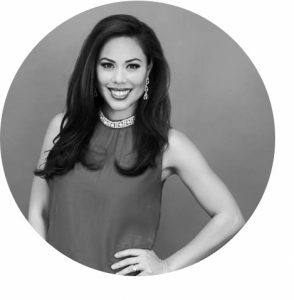 With a professional background that includes eight years as a consultant in the pharmaceutical industry, Elaine now serves as the media spokesperson for various real estate development groups and hosts on-air segments for DC Hot Spots, Jewelry Consumer News, and VivaTysons magazine. She also is the Executive Producer for The Blue Wave Media Company and the Owner and Executive Director of Media SavvE, a company that helps small businesses enhance their branding and visibility through digital advertising. Elaine believes that people want to do business with those they know, like, and trust. Her goal is to help you achieve that. Learn more about her at www.mediasavve.net.